Anping Fangxin Wire Mesh Products Co., Ltd. The most strict inspection standard in the factory c. First time puchase the material after the order b. The first time container loading aftert the order finished d.
We have plenty of designs for Metal Gate, Metal Railings and Metal Fence. Ready to contact now and let us do the rest9 Sending email to us and we can go over details and provide you with a written estimate. Your detailed design sketches are created and emailed to you for review and sign off. 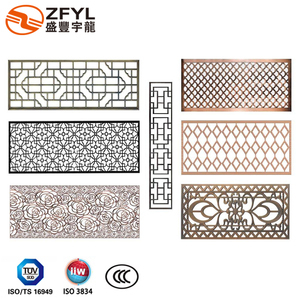 We can provide all kinds of fence, gate, balcony railing, stair handrail, shutter, etc. in galvanized steel, aluminum, and iron with affordable price and high quality. Now, we have our marketing center in Beijing - the capital of China. Specification Square Tubes Style: Height x Length 1800mm x 2100mm ( 6 rails ); 1600mm x 2100mm ( 5 rails ) Different specifications are available according to customers&rsquo;special inquiry or detailed drawings. With a wide range, good quality, reasonable prices and stylish designs, our products are extensively used in construction, decoration and other industries. Our products are widely recognized and trusted by users and can meet continuously changing economic and social needs. 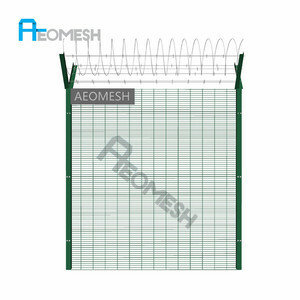 Detailed Images General Style NO FENCE SIZE (L X H) RAIL SIZE PICKET SIZE 1 2000 x 1200 40 x 40 x 1.6mm 38 x 38 x 1.6mm 38 x 25 x 1.6mm 25 x 25 x 1.2mm 25 x 25 x 1.2mm 19 x 19 x 1.2mm 16 x 16 x 1.2mm &Oslash;19 x 1.2mm (Round tube) &Oslash;16 x 1.2mm (Round tube) 2 2000 x 1500 3 2000 x 1800 4 2400 x 1200 5 2400 x 1500 6 2400 x 1800 7 2400 x 2400 8 1800 x 1200 9 1800 x 1500 10 1800 x 1500 11 1500 x 1200 The size and style also can produce by customer requirements Related Products Packing & Delivery Our Service 1. Reply your enquiry in 24 working hours; 2. Experienced staffs will answer all your questions in professional and fluent English; 3. Customized design is available. 4. Exclusive & unique solution can be provided by our well-trained and professional engineers; 5. Special discount can be offered with large quantity; 6. We will try our best to meet your requirements and supply you best quality of the products. NEW Galvanized pipe livestock metal corral fence panels for horses Main Name :ranch fence panels / pipe corral panels / livestock fence / cattle pens / horse panels Square Pipe Style: Height x Length 1800mm x 2100mm ( 6 rails ); 1600mm x 2100mm ( 5 rails ) Different specifications are available according to customers&rsquo;special inquiry or detailed drawings. Vertical Pipe 40 x 40 x 1.6mm/2.0mm; 50 x 50 x 1.6mm/2.0mm Horizontal Pipe 40 x 40 x 1.6mm/2.0mm; 50 x 50 x 1.6mm/2.0mm Oval Tubes Style: Height x Length 1800mm x 2100mm ( 6 rails ); 1600mm x 2100mm ( 5 rails ) Different specifications are available according to customers&rsquo;special inquiry or detailed drawings. Vertical Pipe 40 x 40 x 1.6mm/2.0mm; 50 x 50 x 1.6mm/2.0mm square pipes Horizontal Pipe 30 x 60 x 1.6mm/2.0mm; 40 x 80 x 1.6mm/2.0mm oval rails Round Tubes Style: Height x Length 1800mm x 2100mm ( 6 rails );1600mm x 2100mm ( 5 rails ) Different specifications are available according to customers&rsquo;special inquiry or detailed drawings. outdoor corten steel decoration adopts new technology to sustainable development and innovation, and is becoming the world's top steel technology. We can produce building wall cladding, garden screen, flower pot, board plate and sculpture according the requirement. If you do not have drawings, contact me no hesitate, we can design upon your idea then show the perfect work. 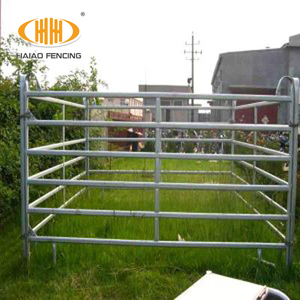 hot dipped galvanized temporary metal pipe sheep corral fence panels Product description -1.8m high with 6 bars/rails or 1.6m high with 5 bars/rails. 32mm, 42mm,25 mm s quare pipe : 40* 40 mm,50* 50mm o val pipe : 30 * 60 mm, 4 0* 80 mm Pipe thickness 1.6mm,2.0mm Rail 5/6/7 Customized specifications are acceptable . Product show With gate square tube:40*40*1.6/2.0mm 50*50*1.6/2.0mm oval tube:40*80*1.6/2.0mm 30*60*1.6/2.0mm H*L:1.8*2.1m(6 rail) 1.6*2.1m(5 rail) 7 rail can be customized too. Hangzhou Celia Hardware Co., Ltd.
Rail: 38.1mm x 139.7mm x 4,830mm (1-1/2"x5-1/2"x192" ), with Pre-Notched Ends at Both Sizes. Rail: 38.1mm x 139.7mm x 4,830mm (1-1/2"x5-1/2"x192" ), with Pre-Notched Ends at Both Sizes. 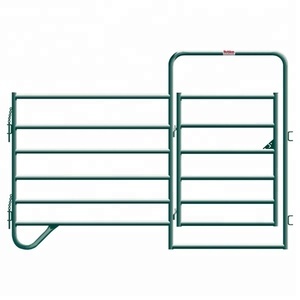 Rail: 38.1mm x 139.7mm x 4,830mm (1-1/2"x5-1/2"x192" ), with Pre-Notched Ends at Both Sizes. Alibaba.com offers 56,605 metal fence panels products. About 72% of these are fencing, trellis & gates, 1% are screens & room dividers, and 1% are steel sheets. A wide variety of metal fence panels options are available to you, such as fencing, trellis & gates, screens & room dividers, and steel plate. You can also choose from metal, plastic, and wpc. As well as from steel, iron, and aluminum. And whether metal fence panels is pvc, pp, or pe. There are 56,386 metal fence panels suppliers, mainly located in Asia. The top supplying countries are China (Mainland), United Arab Emirates, and India, which supply 99%, 1%, and 1% of metal fence panels respectively. Metal fence panels products are most popular in North America, Oceania, and Western Europe. You can ensure product safety by selecting from certified suppliers, including 25,470 with ISO9001, 8,741 with Other, and 5,258 with ISO14001 certification.